Galaxy Note8: How do I take the best selfie with my Samsung Galaxy Note8 (SM-N950W)? But first... Let me take a selfie... Taking better and clearer selfies is easy when using the 8MP front facing camera on your phone, and don’t forget the built-in filters! 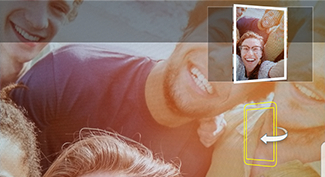 3 To take a selfie using the front camera, swipe up or down. 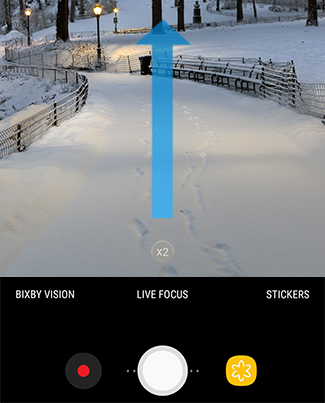 4 For more options and effects, touch the Beauty icon or STICKERS. a. 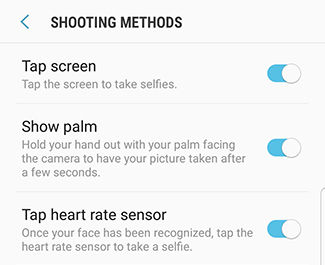 Select the desired Beauty tool and adjust the slider to beautify your selfie. b. Select the desired mask and capture a funny and cute selfie. 6 To use filters, swipe to the left. 7 Select the desired filter. 8 Touch Capture once you have set your filters and camera options. Note: No need to squeeze together to take a group selfie. Just use Wide selfie and capture your whole crew. 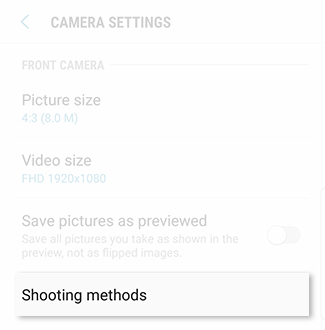 4 To access Camera modes, swipe to the right. 6 Touch the Capture icon and then swivel your phone slowly to one side then the other. 3 Touch the Settings icon. 4 Swipe to and touch Shooting methods. 5 Touch the slider to turn on or off shooting methods. How do I use the hyperlapse mode with the camera of my Galaxy Note8?